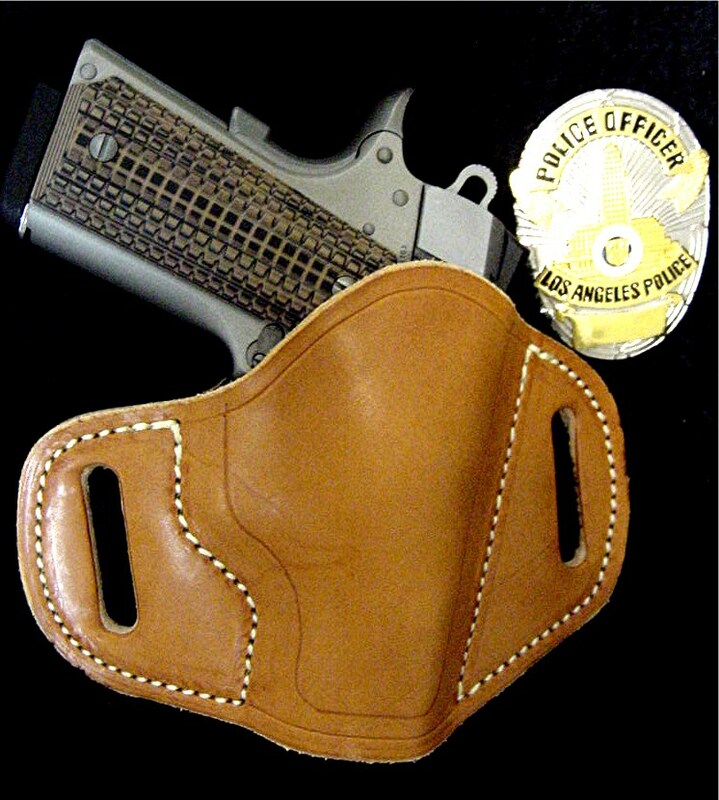 Holster length extended and totally redesigned perfect fit for the new Colt 3″ barrel 1911 DEFENDER or AGENT. It will also fit the Kimber, Springfield, Para Ordinance, American Tactical Fat Boy, Titan or clones. Since this is an open bottom design you can also fit any barrel length 1911 or clone with the end of the barrel fitting through the bottom of the holster. Re-engineered and “French Cut,” the rear is relieved so the magazine release will not be accidentally pressed. Belt slots can be either 1 1/2″ or 1 3/4″ This will be your most comfortable belt slide holster to wear daily. With edge groove ~ $99.95. With one line of edge stamping ~ add $10. With full coverage like basket weave ~ add $29.95. Exotic leather appliques ~ POR. Single and double mag pouches available. This entry was posted on Sunday, December 31st, 2017 at 2:02 pm	and is filed under Uncategorized. You can follow any responses to this entry through the RSS 2.0 feed. Both comments and pings are currently closed.